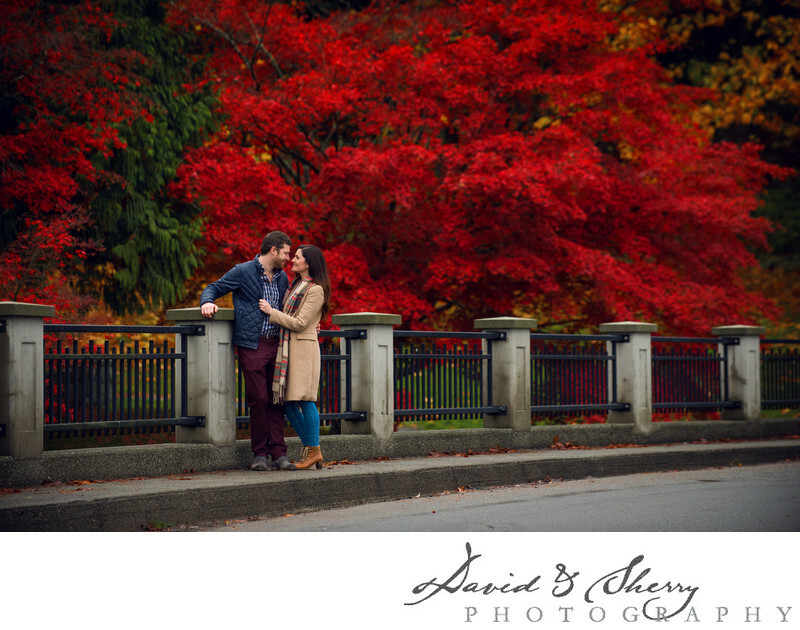 Stanley Park engagement photos are beautiful any time of year, but they are incredibly special during late September and early October. 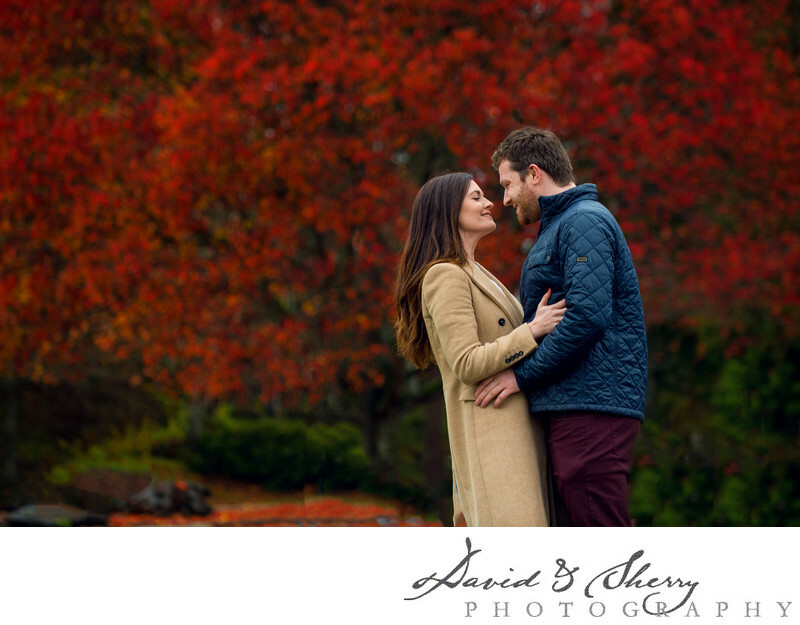 The colours of the trees change and turn into wonderfully vibrant backdrops for pictures. This is one of my favourite places to photograph in Vancouver and I love doing destination pre-wedding sessions in this very spot. The Japanese maples, large oaks and maple trees are a wonder! I get excited every time I get to snap some pics here of my wonderful couples. We are often asked what to wear during the session and how to get the most out of the photo session that you have with us. We respond by saying the best thing you can do is to select outfits which compliment your setting. For instance in these beautiful fall colours in Stanley Park having solid colours in clothes is essential. 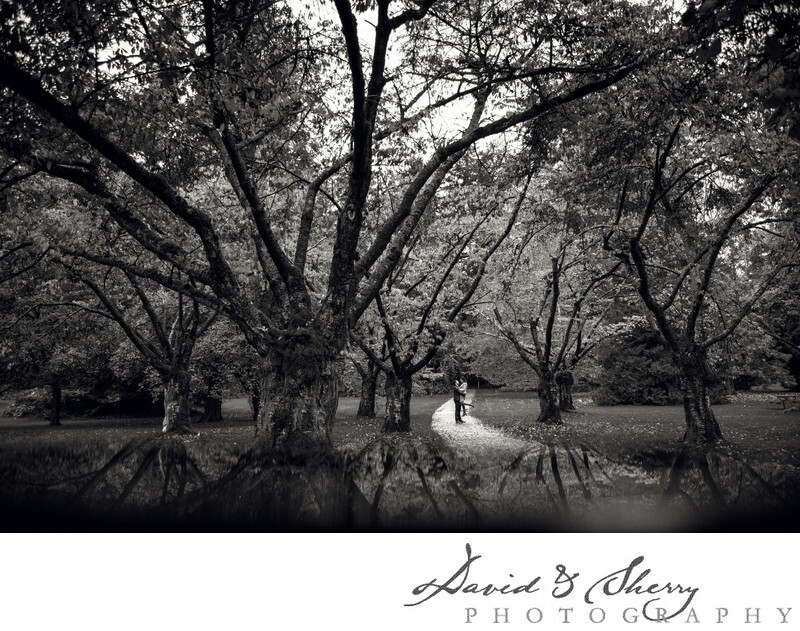 Choosing monotone shades allows you to stand out amongst the colour already present in the trees. Second you can get the best by bringing joy to the session. Get rid of the stress, leave the phones at home and come enjoy time with each other on this very special day. We wrote a whole article on this here. You can also see their entire engagement session here. Location: Vancouver, BC V6G 1Z4, Canada.